With the advent of sophistication in smart phones, it’s a bygone thing that in order to polish and edit a photo, you need some hands-on-experience in say giant editing software like Adobe Photoshop. Photo editing these days have become so subtle and swift, and more importantly so much easier, that anyone owning a good smartphone could show his magic of imagination through his simple mobile phone camera and the photo editing apps. Because of these smart phones and their wonderful photo-editing and camera features, you need not necessarily sit with your desktop and open any big software. Click a pic, lie down in your couch and start editing! Now that phones have become smart and the fact that giants like Windows have operating systems for mobile platforms as well, photo editing sitting in your bed is so much fun and easy now! 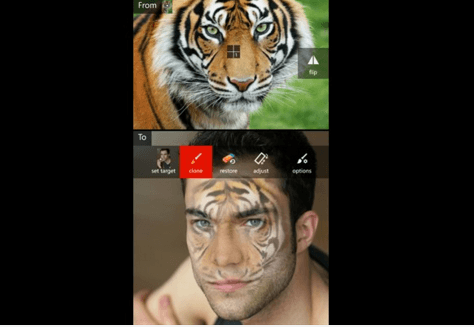 This article brings to you all the top photo editing apps that could be downloaded and used in Windows phones. 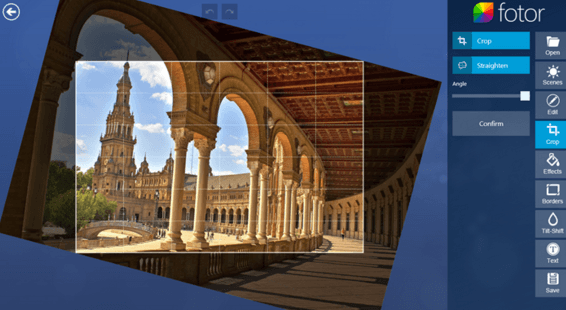 Let us start with Fotor, which is an online sit that lets users edit photo online. This application gives you the liberty to apply a diverse variety of preset effects, themes, frames and stickers that just make the photographer inside you more creative. You can also create collages from your the enormous collection of various photos in yours. It’s so user-friendly and apart from the effects, it gives you the option of orientation, resizing and much more. Windows Phone 8 or Windows Phone 8.1 are the prerequisites for this application to run on your device. 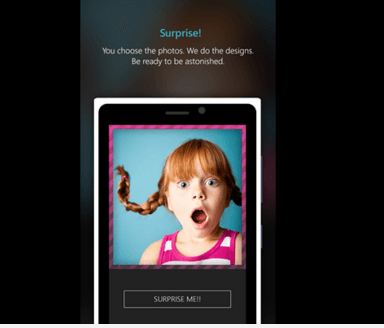 PicsArt is photo editing software available free for Windows Phone. Earlier only Lumia 1020 and 1520 supported this app in the Windows phones but now it’s available for all Windows run devices. The best feature of PicsArt apart from its awesome photo editing features is that it’s a social platform in itself, where photographers from across the globe can share their amazing clicks and edits online with anyone in any part of the world. 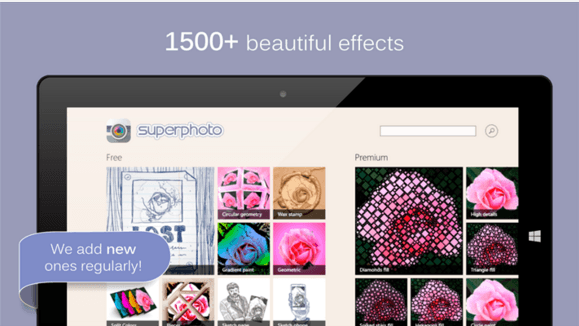 PicsArt provides you the perfect combination of tools to deliver and edit your best. This amazing photo editor after using makes your photos not just merely photos or stills but pieces of art using various filters, overlays, effects, text, and many more creative tools. With PicsArt, you can diversify your editing by using a wide variety of templates and frames to come up with outstanding collage. The best feature of this app is its user friendliness. Even if you haven’t used PicsArt before, it won’t be tough for you to go easy on it. 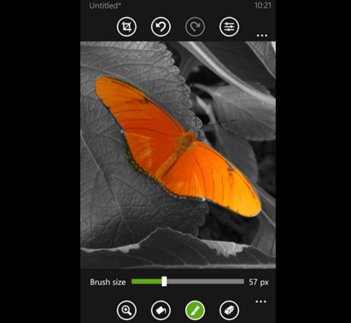 This free photo editing application for Windows Phone works in versions 7.5 and later. Because it’s a web app internet connection is a must to use this amazing photo editor. You need not be any stalwart in order to use PhotoFunia, as this app is so user-friendly that it makes your editing and desires smooth and subtle. The amazing themes available online in this app lets you even change locations, for example, you could simply a click a photo of yours and place it on a pre-determined location available on this app, say Eiffel Tower, and it shall appear as if you were actually standing below the giant tower. Also, the effects are so awesome that you could be looking in any mirror or posing for a photo shoot while lying on green grass. 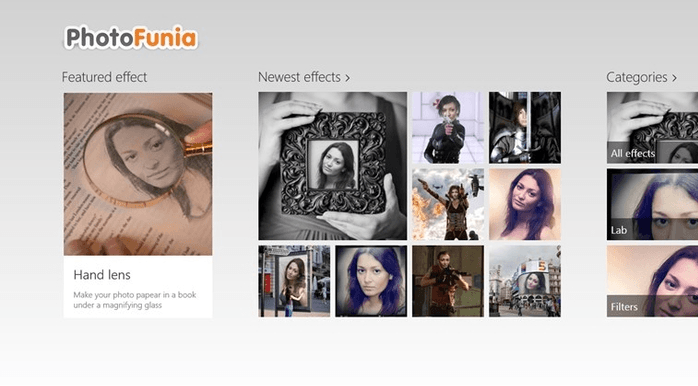 Apart from these amazing features, PhtoFunia supports multi types of image formats and also gives you the facility to resize and change pixels of your photos, edited or unedited. This application likewise requires web association with work, yet it has a tremendous accumulation of impacts you can apply to the photographs you have taken or Facebook photographs. At the point when contrasted with different applications, impacts incorporated into SuperPhoto are more creative. What’s more, SuperPhoto has classified segments into Combos, Compositions, Edges, Examples, Channels, and so on so you can apply them without botching up. In spite of the fact that there is a tremendous accumulation of noteworthy channels, you can simply buy premium ones. The premium ones have the advantage that they let ads not be any hindrance while you’re completely engrossed into editing your photos. This is a good photo editing app for Windows that gives you diverse options and liberty to resonate with various impacts and features and make awesome pics that were when you clicked simple ones. Fantasia Painter is a blend of a photograph manager and painter application. Utilizing this application, you can apply more than a hundred impacts to your photographs; likewise, you can utilize your innovative, masterful attitudes to paint your photos utilizing an assortment of brushes accessible. Fantasia Painter bolsters Windows Phone 7 and later forms, and it is a great application for grown-ups and kids. Impacts accessible in Fantasia Painter incorporate colorize, vintage, outskirts, composition, recolor, obscure, tender painter, and so forth. Advertisements may be an interruption in the free application, yet you have a choice to move up to the ace adaptation by paying 100 INR. Also, the features that this photo editing app provides you with leaves you look no less than any professional photographer or editor. It’s a good way and platform to learn various techniques of good photo editing tricks. 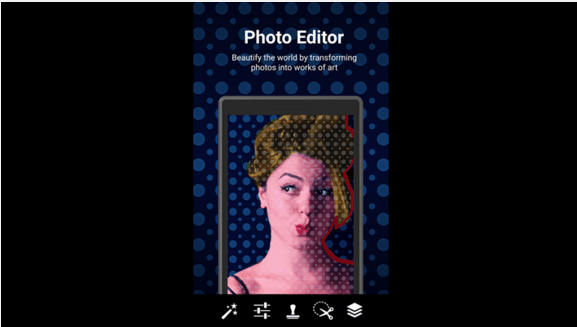 If you want to submit your photos out there for publication, this photo editing app is a must if you don’t have expertise on Adobe photoshop or other likewise giant editing software. The only condition is that you possess a Windows Phone 7 or its later versions. 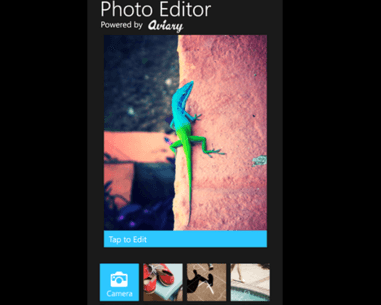 Photograph Editorial manager by Aviary, a photograph altering application for gadgets running on Windows Telephone 8 is built by Aviary, one of the well-known application engineers of various cell phone platforms. This free application has distinctive segments, for example, photograph editorial manager, impacts, trimming, drawing, stickers, including content and so on. At the point when contrasted with applications for Android and iOS, Aviary Photograph Manager will be a touch poor as far as elements are concerned, yet it concentrates on photograph altering. Even though it lags behind in threads, knowing the features of Aviary Photo Editor to the dregs makes you a good editor. And if not an editor then your photographs at the end of editing seem quite awesome and beauteous. 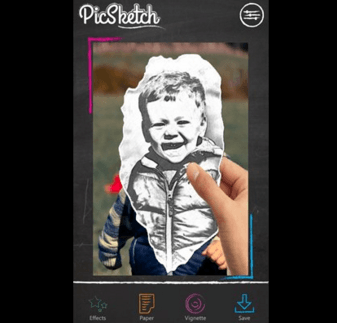 As the name says, PicSketch is a kind of restricted photograph proofreader, however, gives you a chance to change over photographs into representations utilizing some of the usual taps. When you have incorporated an impact or any feature on a photo, you have complete flexibility to redo parts of altered image. In that way, you can alter power, contrast, splendor, diagrams and so on, even after saving the final draft of your image. PicSketch comprises of more than fifty techniques to draw your photos. When you have rolled out your improvements, you can share that picture with your companions and supporters in just a couple of clicks, and enjoy the still moments by praising the beauty of those moments through PicSketch edited photos. Thanks to PicSketch! This free photograph proofreader for Windows Telephone is somewhat not quite the same as previously stated ones! The application works in light of the rule that sensible changes in the shade of photos can make them wonderful. This application runs best by showing the need to accentuate a few items or some particular hues in a picture you have caught or store in the exhibition. You’ll have the capacity to modify different parts of the picture, for example, immersion, gentility, and so on through a couple of taps. You can introduce this application in the event that you have a gadget running Windows Telephone 7.5 or later forms. This free Windows phone application is particularly implied for making marvelous collages utilizing pictures you have as a part of your personal collection. Nonetheless, the application comprises of more than 30 picture impacts, capacity to include stickers, set a custom foundation to outlines, and so forth in no time. On the off chance that you are a kind of Facebook savvy, you can utilize some uniquely designed edges keeping in mind the end goal to make amazing Facebook cover photographs. This application is a free one and is worth downloading and using. 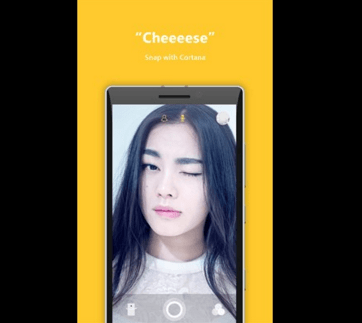 Camera360 is, as its name proposes, a camera application for Windows phones, which works in resonance with an incredible photograph editorial manager. At the point when both of these join, Camera360 turns into a kind of gift for everybody, who might want to take noteworthy photos, alter them, and share them. Inter-constructed editorial manager of Camera360 offers various impacts you can apply on photos. As a camera application, it has an innovative compass apparatus that assists you with taking marvelous photographs right away. It is clear that each photography aficionado ought to look at this radiant application. You require a gadget running on Windows phone 8 or Windows phone 8.1 to utilize Camera360.